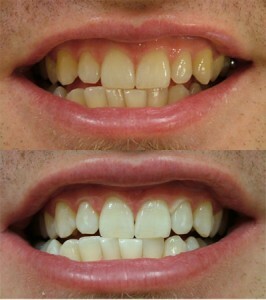 With a professional teeth whitening system it is simple to erase years of staining from coffee, tea, red wine and cola. At Irwin & McCabe Dental Group, we use 2 systems for whitening teeth, an “At Home” system (Nite White) and an “In Office” system (Zoom). To help you decide which system is right for you, we offer a 30 minute complimentary consultation to assess your needs and answer specific questions. Not everyone wants an immediate “Hollywood white” and instead a slow controlled change is of some psychological and emotional benefit. The slower change does not have to mean more time in the dental office. 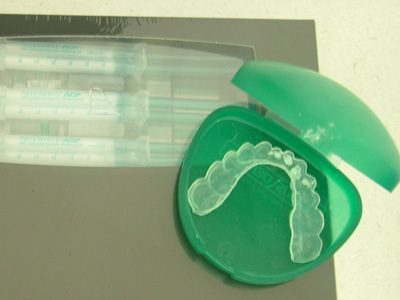 Instead it means that patients are given a home kit with custom fitted trays that enable them, as with any other cosmetic, to control the application and final result. This is also a significantly cheaper form of delivery of the whitening agent. 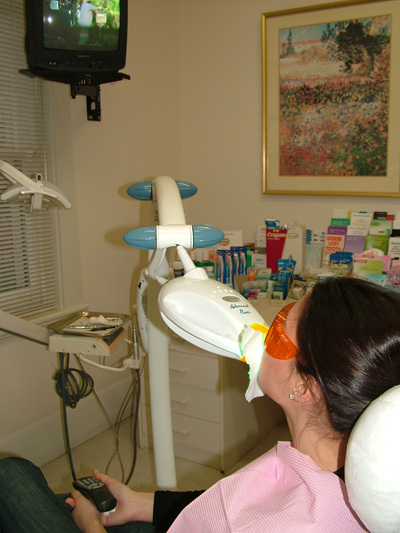 Our “in office” system offer a more immediate change to the shade of your teeth and take around 90 minutes in the dental chair. The Zoom system (which has been featured in the Extreme Makeover television series) involves the placement of a highly concentrated tooth whitening agent for up to 90 minutes. This system can produce dramatic results although tooth sensitivity might occur in the short term.